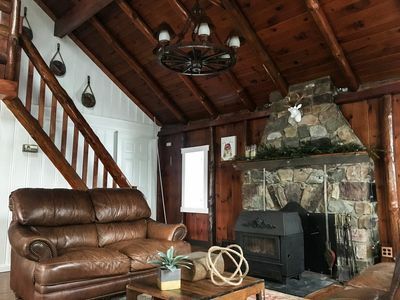 This privately owned 400 square foot studio condo is located on the 3rd floor at The Appalachian, sleeps up to 4 guests, and has valley views. 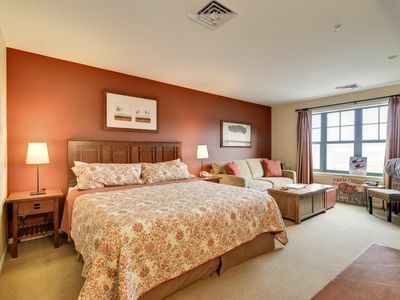 The Appalachian is perfectly located right at the Mountain Creek ski, bike and water park resort so you have all the activities you love right at your door step! 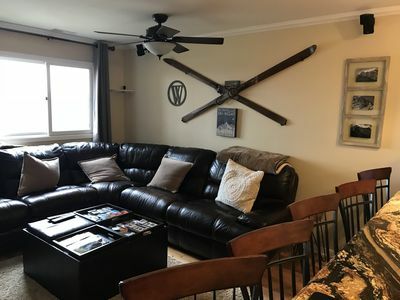 It’s a true ski in/out setup! 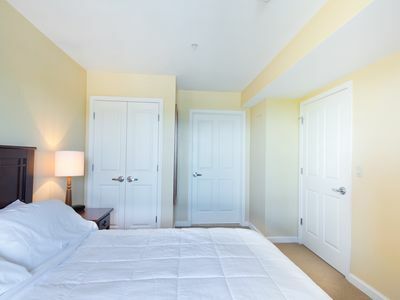 The living area has a king bed with an updated high end “Ikrema” memory foam mattress to ensure a good night’s sleep. 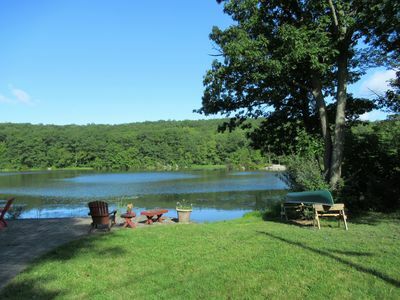 Its fitted with several beautiful quilts that are rotated as the season changes. 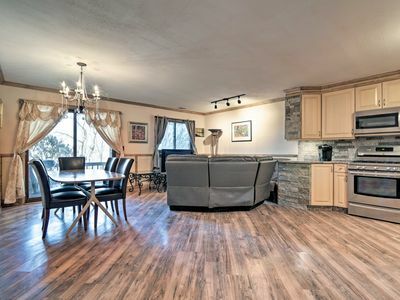 There is a beautiful gas fireplace, a 32 inch LCD TV, seating for 4 with valley views. 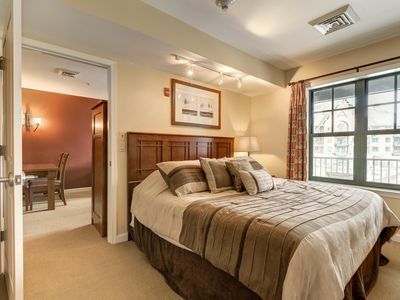 It has a sofa bed with an “Ikrema” memory foam mattress that sleeps 2 comfortably. 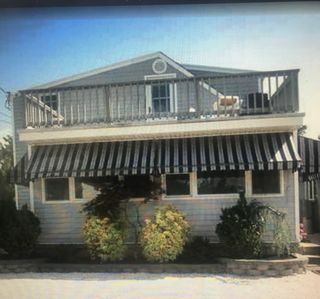 Featuring high-speed Internet, Wi-Fi, cable TV, and fully stocked with fresh linens, towels, blankets, and basic toiletries, this property provides all the comforts of home and then some. The galley kitchen is fully-equipped, and boasts the necessary appliances, including a stove-top, microwave oven and a small refrigerator. 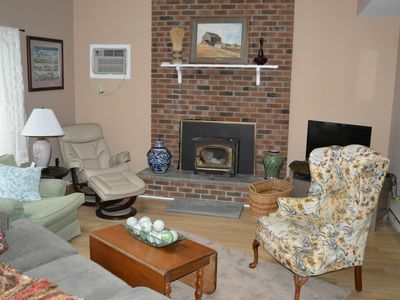 It comes complete with a Keurig coffee maker, toaster, toaster oven and all the kitchen supplies needed. 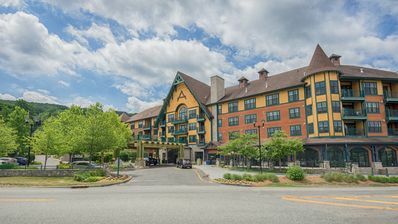 The Appalachian is located in the heart of the New Jersey Skylands region and is located at the base of the ski slopes and water and bike park at the Mountain Creek Resort. The stunning scenery viewed from the living area and balcony does not disappoint. 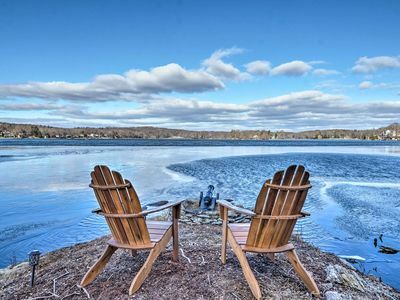 Whether clothed in gorgeous fall foliage, spring and summer greens, or winter whites, the mountain vistas will melt away your stress as you sip your morning coffee or evening nightcap after a day of exciting activities. 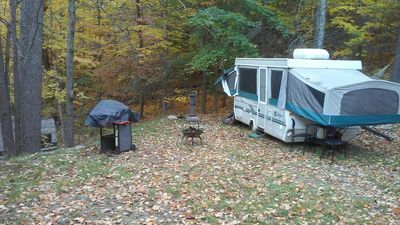 The Appalachian itself boasts a large heated outdoor pool, 2 hot tubs, a game room, a fitness room and heated underground parking. 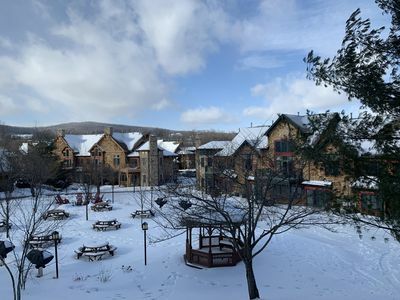 The Mountain Creek Resort has numerous activities such as alpine skiing, a snowboard park, a bike park, a water park, zip lining and a tree top experience. 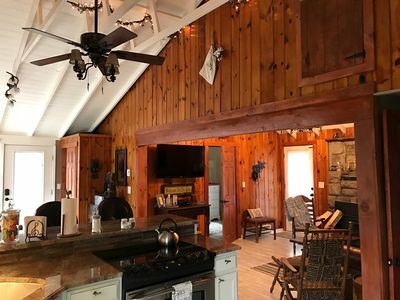 Nearby you will find golfing (there are 7 Golf Clubs: Ballyowen, Black Bear, Cascades, Crystal Springs, Great Gorge, Minerals, Wild Turkey), fine dining, wine tasting, horseback riding, apple picking, a drive-in movie theater. 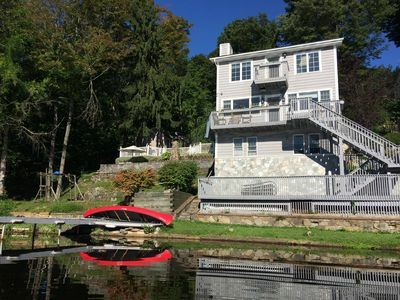 The surrounding area has so much more to explore and you won’t know where to go first: the quaint village of Warwick, NY, local wineries, pick-your-own fruit farms, or the many Sussex County State Parks. 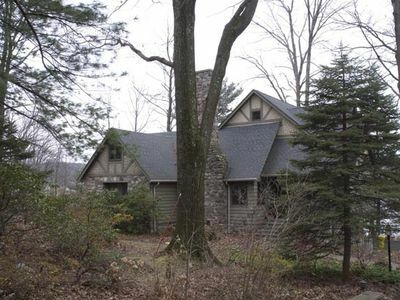 Your getaway to our condo and The Appalachian promises to be an unforgettable vacation smack in the middle of an outdoor New Jersey playground. 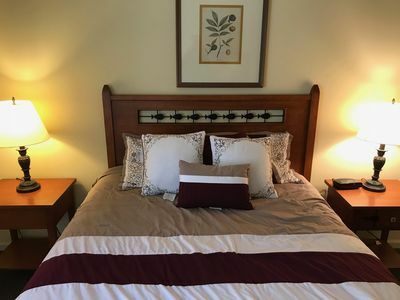 No matter how you plan to spend your time here, this excellent Vernon Township vacation rental condo ensures a truly peaceful getaway, filled with complete relaxation, splendid natural scenery, and outdoor recreation. 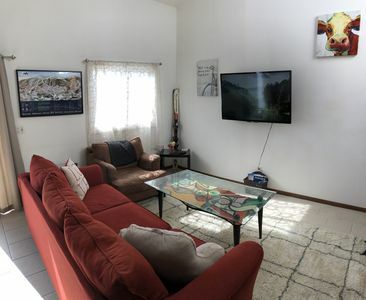 - Amenities include central air conditioning & heating, fully-equipped galley kitchen, wireless internet access, 1 LCD TV, starter shampoo & soap and much more! 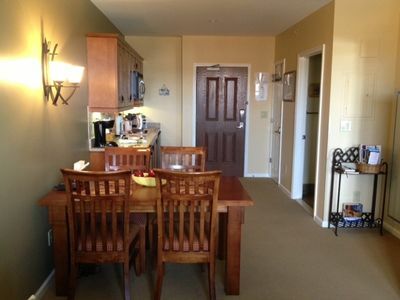 - Unbeatable location - You are at the Mountain Creek Resort that has skiing and a water and bike park onsite. We are only 25.7 Miles from the World Headquarters of Jehovah's Witnesses!